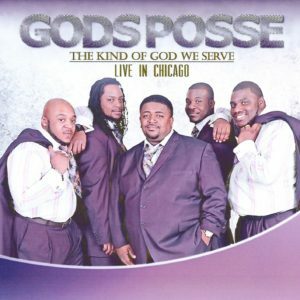 God’s Posse is emerging as one of Chicago’s most popular quartets, alongside the Stars of Heaven, the Kinsmen, and the veteran Victory Travelers. Its EP, The Kind of God We Serve: Live in Chicago, is an effort to introduce themselves to an even bigger audience. 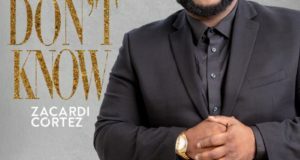 The seven tracks on the EP were originally released on the group’s 2011 album of the same title, but they are not cuts from Nelson Larkins, God’s Posse’s founder and leader, who retired in 2014. The group simply wants to be recognized in its new iteration. 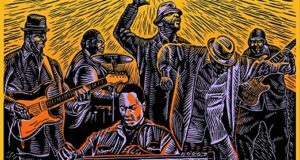 Standout cuts on the EP include “Back Back Train,” which urges listeners to prepare for the afterlife by evoking the evergreen metaphor of the morning train. 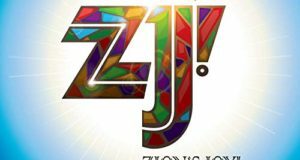 “Meet Me,” with its intriguing sixth chord harmonic resolution on the chorus, looks back from the other side of the Jordan, wondering whether Jesus “will meet me.” A hip-slapper, “Put Your Trust in Jesus” comes complete with an extended vamp and testimony. “Your Blessing is on its Way” is another drive tempo selection with a traditional backbone. Now, eighteen years after its founding, God’s Posse is hoping this EP will give it a chance to further spread its ministry beyond the City of Chicago.